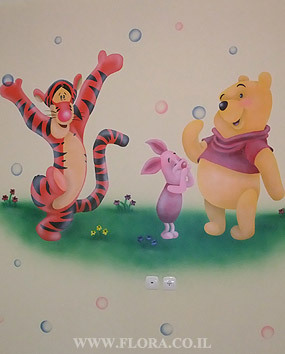 Winnie-the-Pooh, Tiger and Piglet - baby room murals. Location: Ashdod. Muralist: Flora.